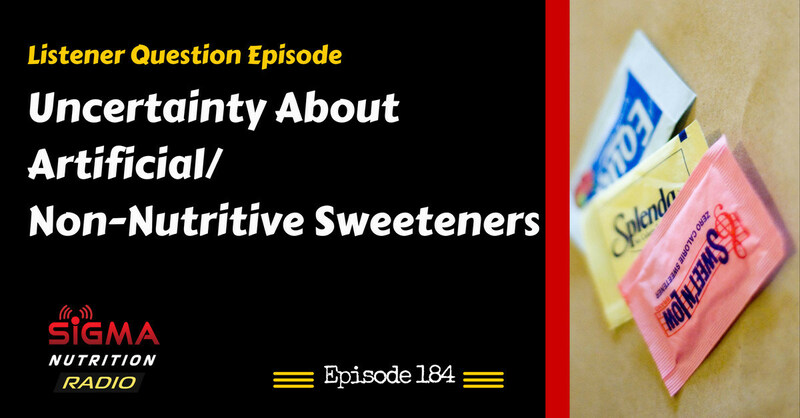 Episode 184: We take a deeper look at artificial/non-caloric sweeteners; effects on bodyweight, glucose tolerance, gut flora and health. What does the evidence say about safety and health concerns? Sharma et al., 2016 – Artificial sweeteners as a sugar substitute: Are they really safe?